At the heart of tea time is the opportunity to relax and share a lovely drink, a few tasty treats and some time with loved ones. What could be better? 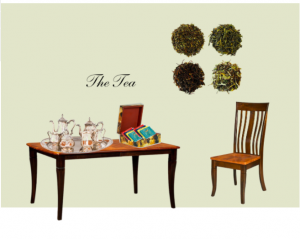 Tea time can be formal or casual and can serve a large group or just a few people. It is often served mid to late afternoon. 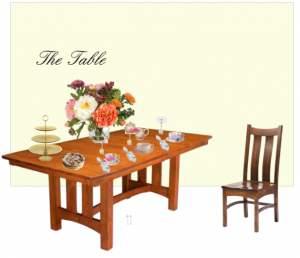 We’re taking a look at what to include on tea time tables with a few Amish dining tables to help us out. The size of your party will determine how much space you will need. We recommend putting in all dining table leaves to maximize table space. 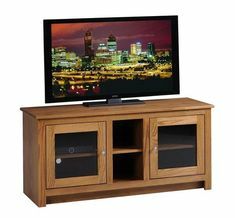 This will allow room for the food and sweet treats as well as the tea so you can enjoy your guests instead of running back and forth to the kitchen. Featured in our table setting: The Amish Country Shaker Trestle Table and Amish Country Shaker Dining Chair. Tea time includes a mixture of savory and sweet foods. Include your favorite mini-sandwiches, mini-cakes, pastries, petit fours or biscuits with jam. A favorite snack for tea time treat is the beloved scone. 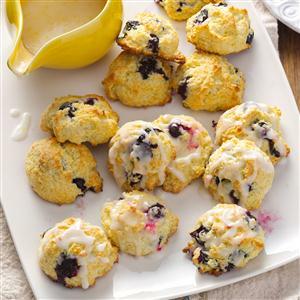 We’ve included a recipe for Lemon Blueberry Drop Scones from Taste of Home for you to try. 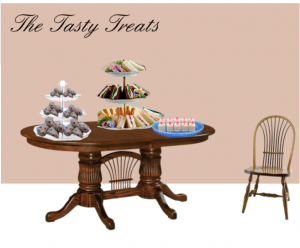 Featured in the Tasty Treat Table photo: The Amish Fluted Double Pedestal Dining Table and the Amish Wheat Windsor Dining Room Chair. Offer either a full pot brewed with your favorite tea or a pot of boiling water with an assortment of tea bags. For those that don’t drink hot tea, other refreshments like hot chocolate, fruit punch, lemonade or iced tea can be offered. Adding an assortment of fresh raspberries and strawberries is a delightful touch. Featured in the Tea Table photo: The Amish Newbury Leg Table and the Newbury Amish Dining Chair. 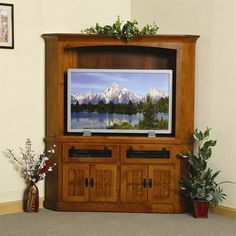 Comfortable, durable, heirloom quality solid wood furniture is our specialty at DutchCrafters — perfect for tea time! Now ready for a recipe that is perfect for tea time? Fruit flavored scones that are a little bit lower fat than other scone recipes. Drop by heaping teaspoonfuls 2 in. apart onto a greased baking sheet. Bake at 400 for 15-18 minutes or until lightly browned. Combine glaze ingredients; drizzle over warm scones. See this recipe and others at Taste of Home.